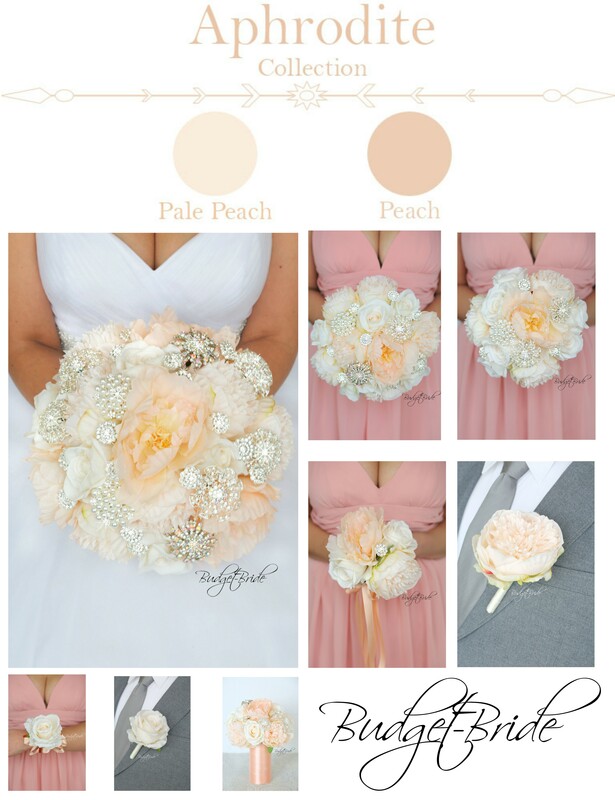 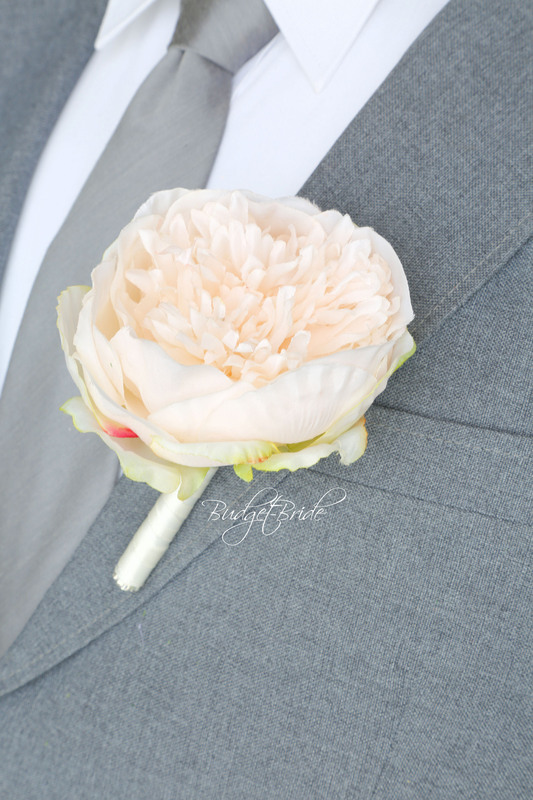 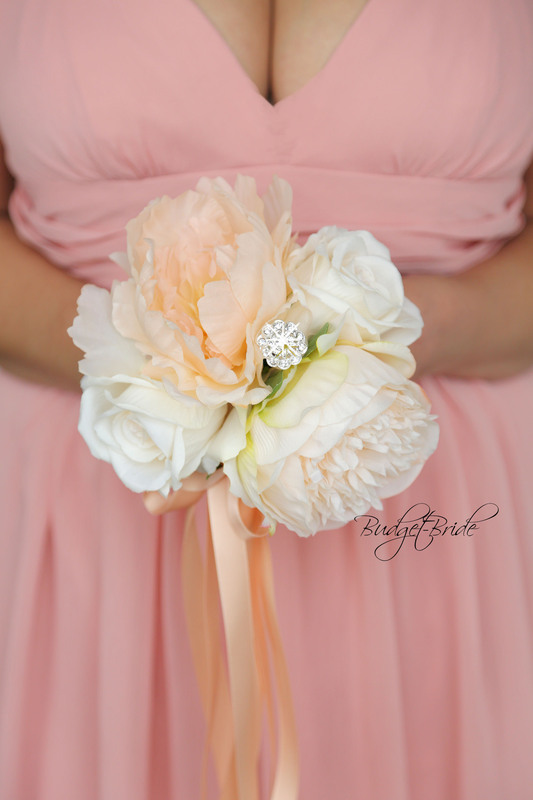 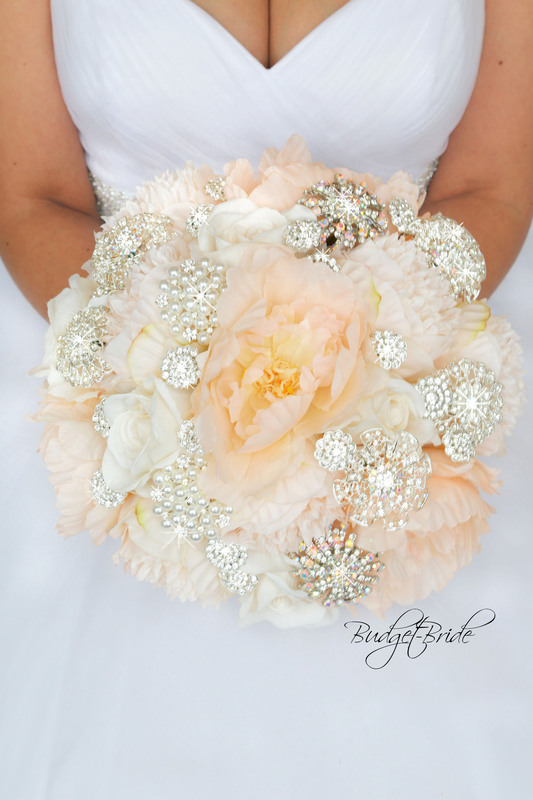 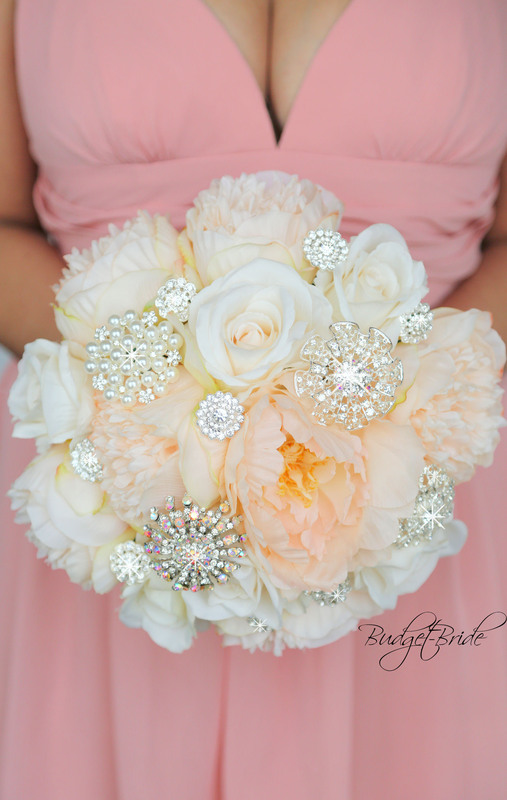 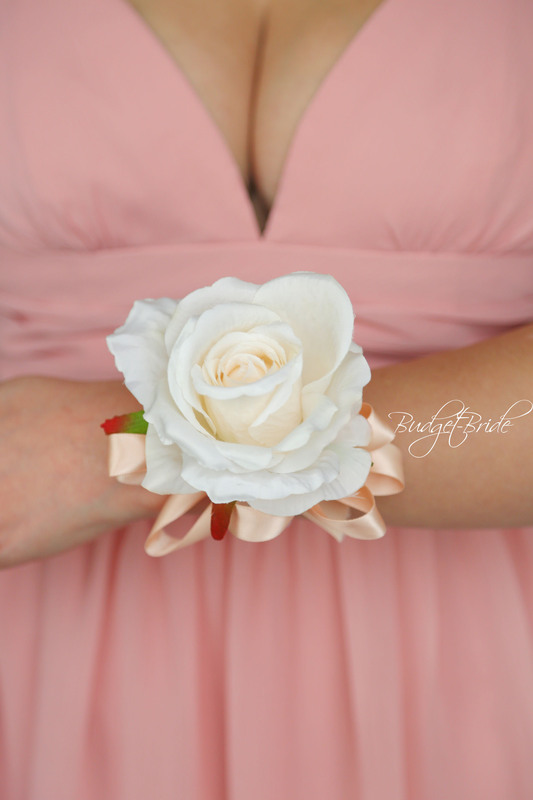 This matching bouquet is an 10 inch hand held bouquet with light peach and ivory peonies accented with silver jewels. 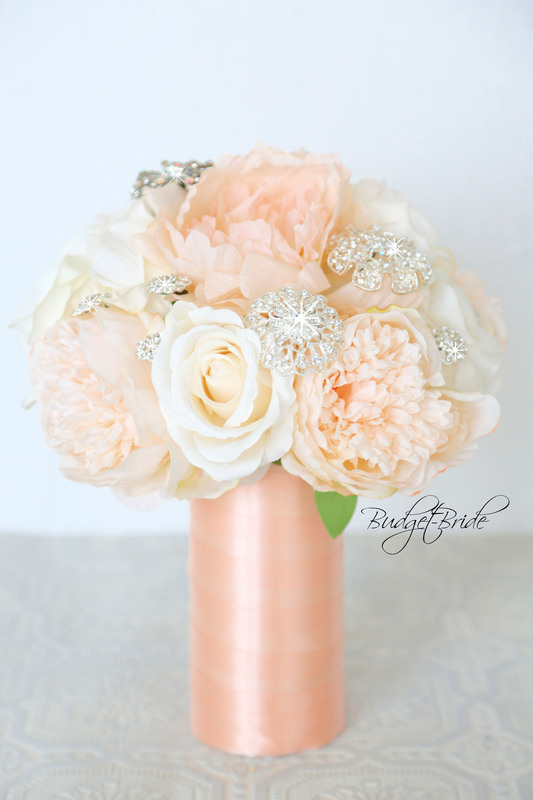 This matching bouquet is a 8 inch bouquet with light peach and ivory peonies accented with silver jewels. 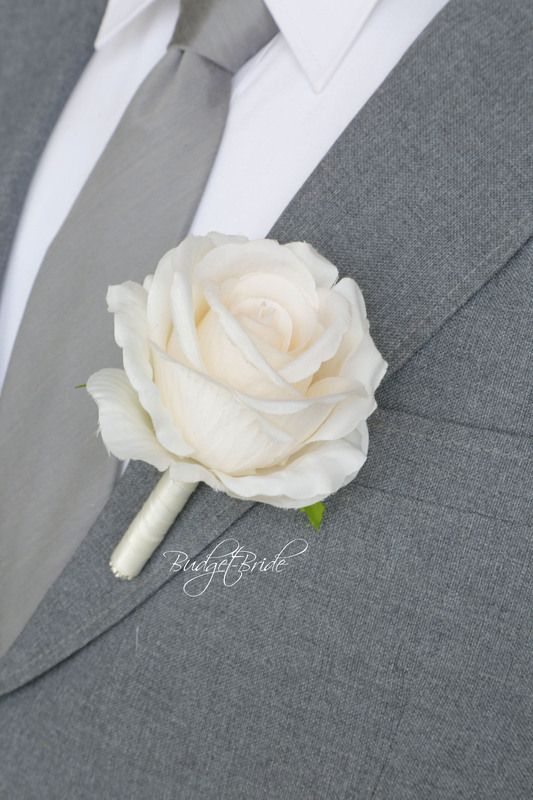 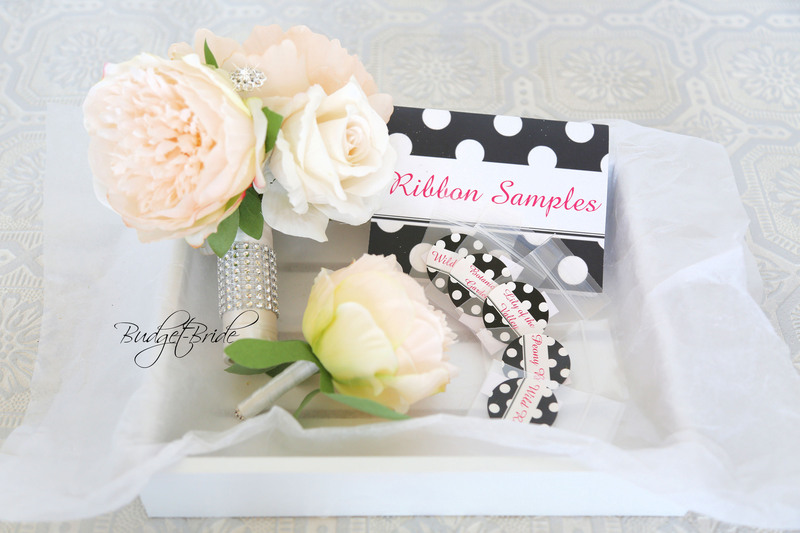 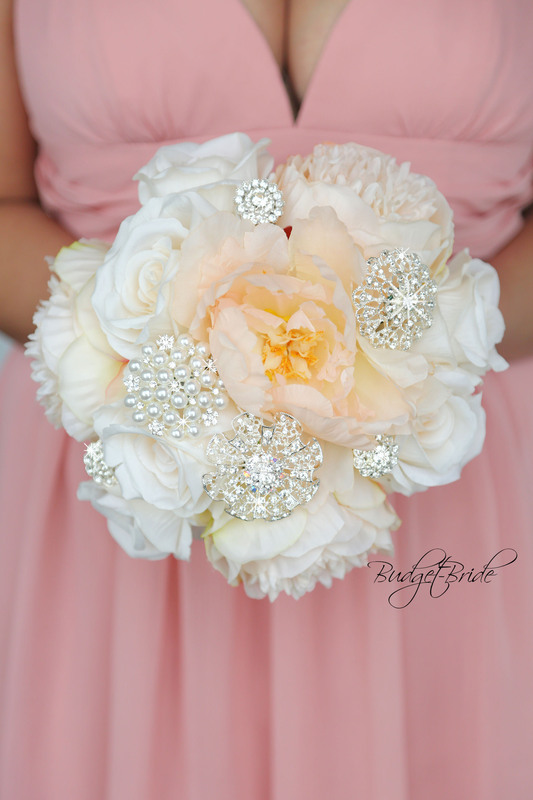 This matching bouquet is a 6 inch bouquet is made with light peach and ivory peonies accented with silver jewels.